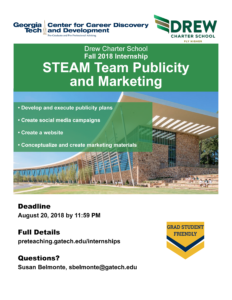 The STEAM Team intern will assist in the development and execution of its forthcoming season’s publicity plans and in the execution of daily team tasks. As a STEAM Team member, you will work most often “behind the scenes” as opposed to directly serving youth or students. 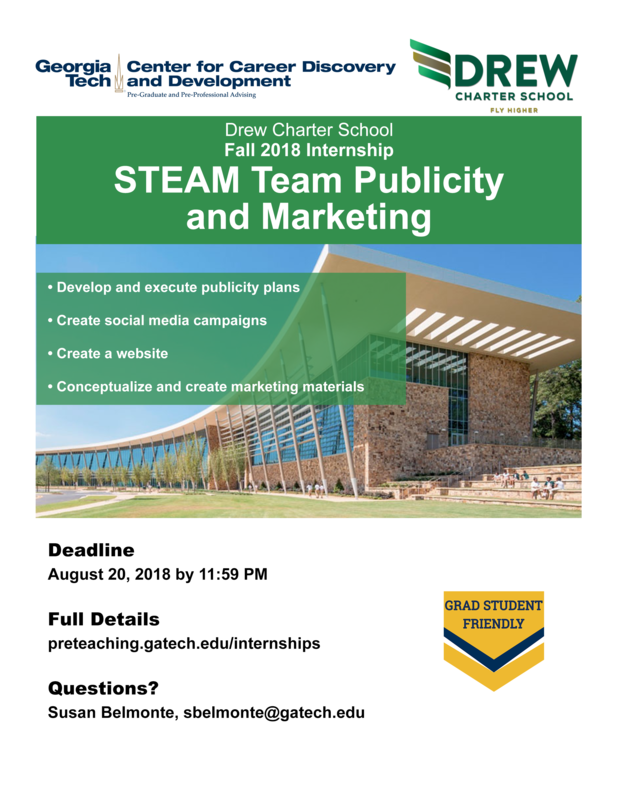 You will be a part of problem-solving, researching, connecting, documenting, troubleshooting, and coordinating in an effort to improve, expand, and amplify the reach and impact of Drew educators, systems, and community partners. ● Draft narrative material for reporting or documentation efforts. determined by intern and supervisor. 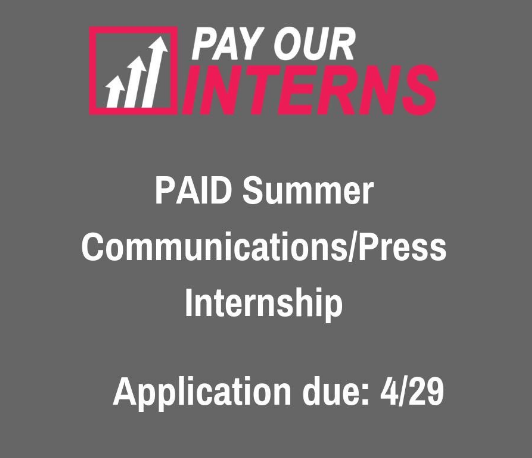 ● Current students, recent graduates, and grad students may apply. ● Interns should be strong writers, creative thinkers, extremely self-motivated, and interested in pursuing a career in, marketing, publicity, education, or the nonprofit sector. are a current GT student. To obtain a permit, contact the appropriate career advisor by your major. QUESTIONS OR WANT HELP WITH YOUR APPLICATION?